20oz. 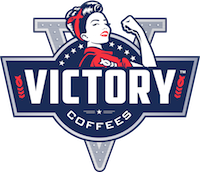 Victory Canteens are stainless steel, double wall vacuum insulated. Splash Proof flip-top closure resists spills and is straw friendly.